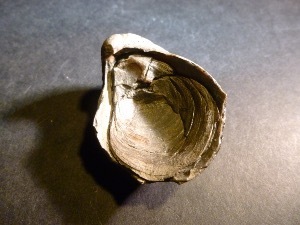 This fossil is a genus of extinct oyster, marine bivalve mollusks in the family Gryphaeidae. These fossils range from the Jurassic to the Cretaceous periods. They lived on the sea bed in shallow waters, possibly in large colonies. 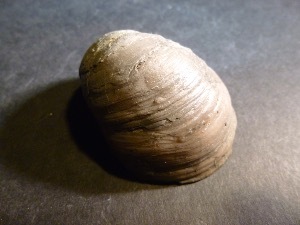 The complete fossil consists of two articulated valves: The soft parts of the animals occupied the cavity between the two shells, just like modern oysters.